In the early 2000s my young son requested a Back to the Future theme for his birthday. 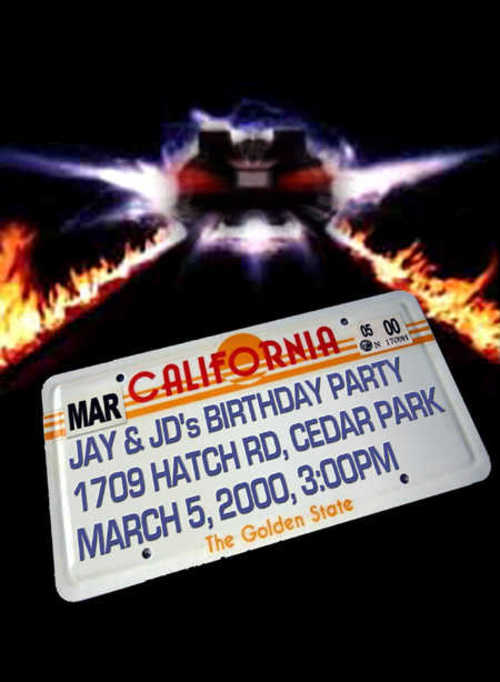 To that end, I created invitations and party decorations that featured Marty McFly, Doc Brown, the time machine DeLorean, and other BTTF-related items using materials I had collected years back and some images that I found on the Internet. 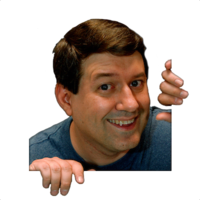 Thanks to some Photoshop magic, we used very few store-bought decorations. The two-sided invitation was the most fun to create. 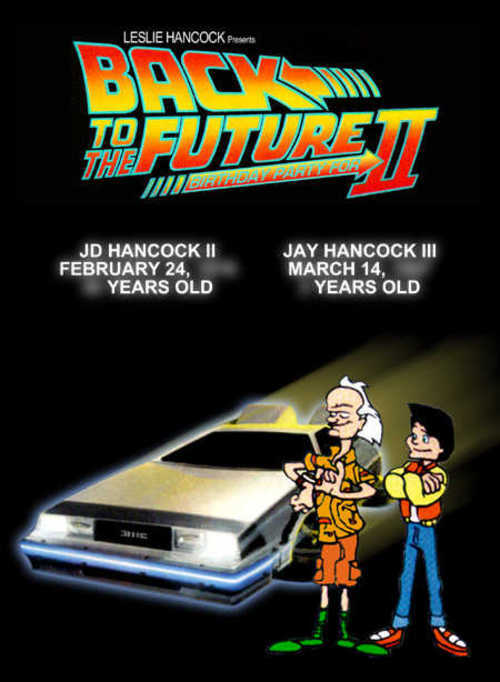 The front side features the logo, DeLorean, and our heroes Doc Brown and Marty McFly. The back side of the invitation shows the DeLorean's license plate flying off, with party details added. 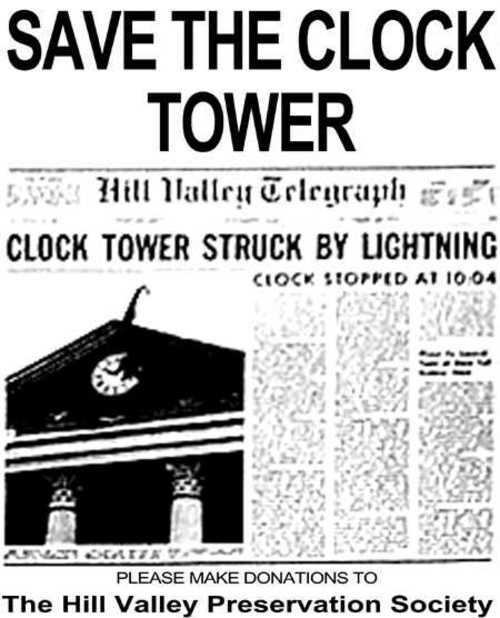 The "Save the Clock Tower" flyer was a cheap party decoration. I printed many of these on blue paper (true to the film) and passed them out at the party, encouraging people to place their contribution into a "Save the Clock Tower" donations can I made. Unfortunately, I didn't get many takers. I had a lot of fun designing this invitation, playing with the Back to the Future logo and incorporating design element from physical items that were scanned in and modified. For example, Marty and Doc came from a Back to the Future comic book I have. Remember, in the early 2000s the Internet was not overflowing with movie reference material, so I had to go by what I could find in my own collection. The back of the invitation was an interesting challenge. I wanted the license plate to contain the event information, which meant it needed to be large, and I did not have anything to scan, so I cobbled together an 80's California license plate based on what I could find online, which was not much at the time. The DeLorean and fire trails in the background were scanned from a postcard in my collection. I was fortunate to find a blurry photo of the fake newspaper clipping used in the movie online. Adding the messaging above and below and printing it on blue paper, we had a good approximation of the flyer.